Operations managers worldwide are quickly realizing that order fulfillment automation is no longer a warehouse luxury, but instead, it is an absolute necessity for their facility to keep up with the expectations of their clients. With the boom in popularity and competition between e-commerce and DTC companies, distribution centers are challenged more than ever to simultaneously deal with increased order volumes of smaller and smaller order sizes. Many companies suddenly come to the realization that the familiar equipment and processes that they’ve always depended upon are no longer capable of keeping up with their clients’ demands and that they’ve found themselves at a critical tipping point between success and failure. How do I know it’s time to implement order fulfillment automation systems? 1. Have we reached warehouse capacity threshold? 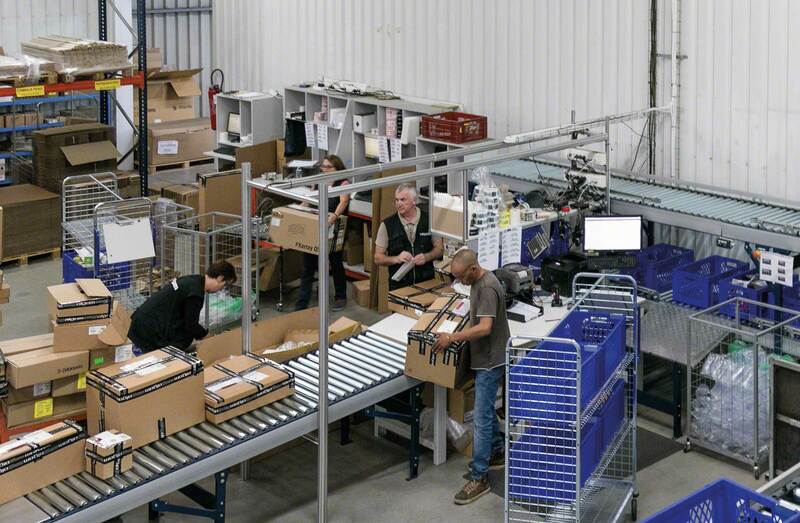 If you have identified a clear need for increased space, automated systems can significantly improve storage capacities in a current facility by opening up new areas for growth, thereby avoiding the possibility of being forced to relocate to a new location. For example, stacker cranes and conveyor systems are effective and economical ways to automate your warehouse and take advantage of all available space. 2. Can we reduce our labor costs and picking errors? Product demand is significantly affected by seasonality when orders increase exponentially. Companies often notice high employee turnover rates due to having to rely on temporary workers during holidays and peak order seasons and find themselves consistently forced to hire staff in order to keep up with demands. As a result, not only is it necessary to maximize the workload of current personnel, in addition there is an annual need for the hiring of seasonal staff. Year after year, this temporary staff must be trained at a fast pace so that they may hit the ground running and unfortunately this is a recipe for increased picking errors, higher order return rates, decreased customer satisfaction and increased costs overall. 3. Are there plans for significant growth or product expansion in the future? Picking and packing operations account for a significant percentage of costs, therefore during an expansion, it is essential to identify which manual processes can be automated to increase efficiency and keep up to pace with your new throughput goals. Additionally, you must consider the differences between increased operational costs due to growth in comparison to the investment needed to automate. When warehouse operations managers find that they are quickly running out of space, experiencing a high volume of picking errors, or see a future need to increase throughput, it is commonplace to point to a building expansion as the solution. However, the implementation of automated systems can efficiently solve these challenges and simultaneously ensure that your distribution company is at the forefront of the sector without ceasing current operations. Remember that order fulfillment automation and other options for improvement of inventory control and product picking should never be overlooked or taken for granted.